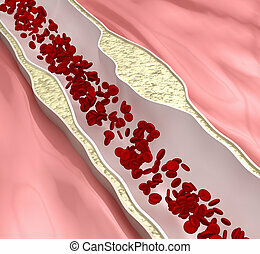 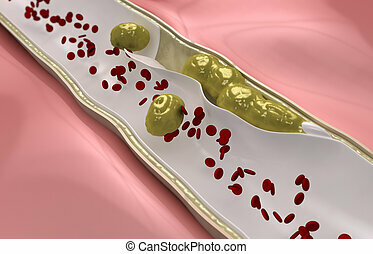 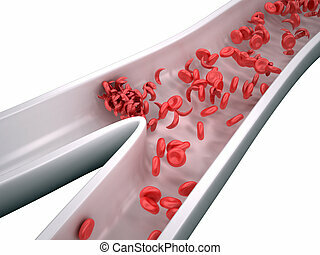 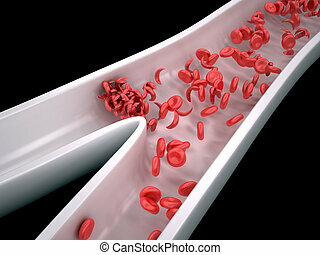 Atherosclerosis disease - plague blocking blood flow. 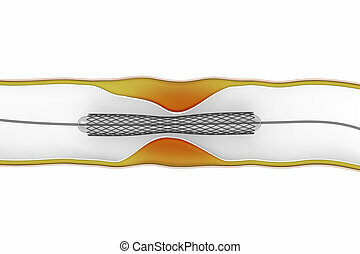 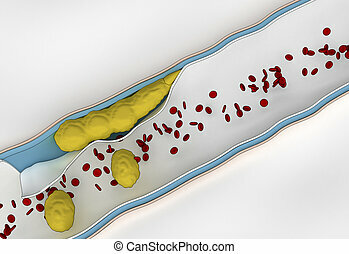 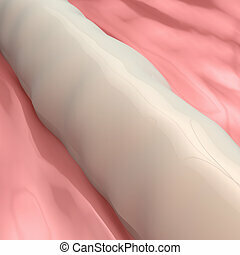 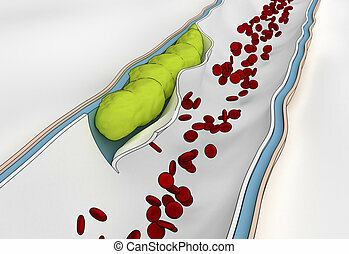 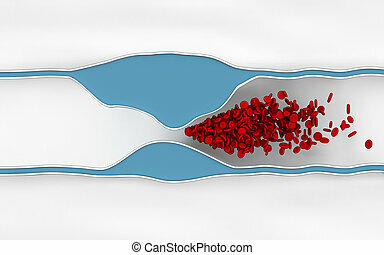 Atherosclerosis medical vector illustration cross section diagram, unhealthy blood vessel circulatory system disease. 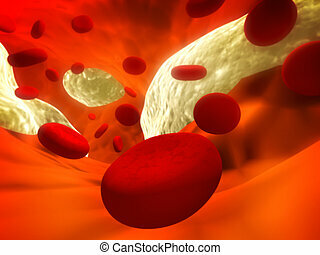 Blocked blood flow. 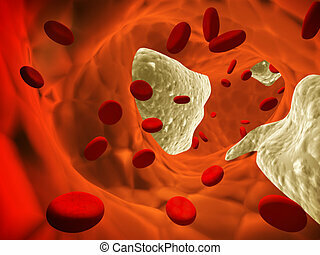 Red blood cells thrombus. 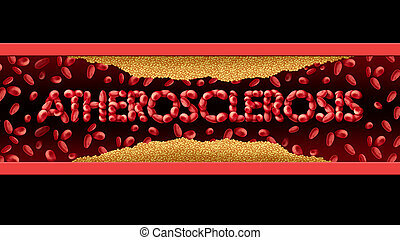 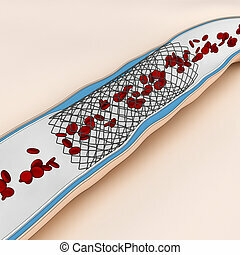 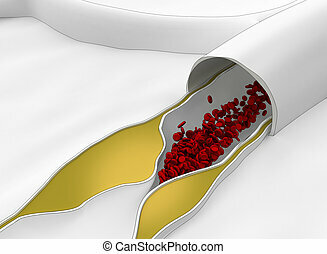 Atherosclerosis illustration. 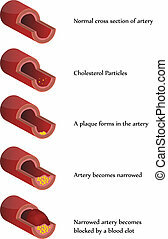 High cholesterol. 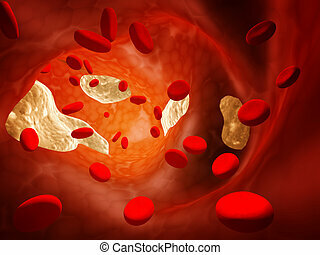 Blood clot. 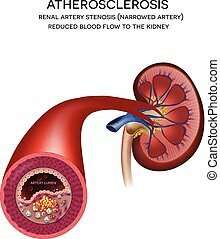 Renal artery disease. 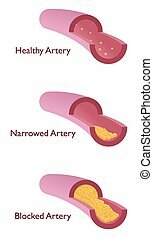 Atherosclerosis, fatty plaque developing on the inside of the artery to the kidney, narrowed artery, blocked blood flow to the kidney. 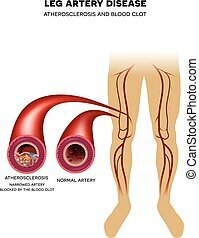 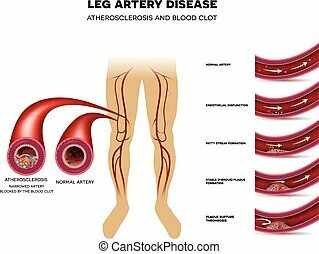 Leg artery disease and healthy artery. 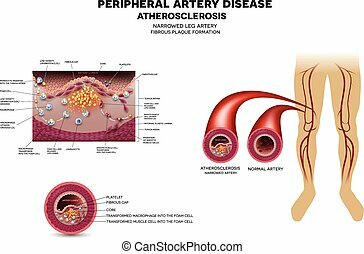 Peripheral Arterial Disease, Atherosclerosis progression, narrowed leg artery and at the end blood clot block artery. 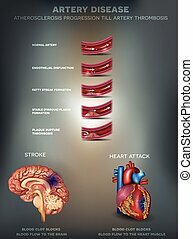 Artery disease, Atherosclerosis, Stroke and Heart attack. 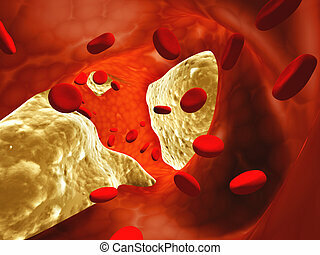 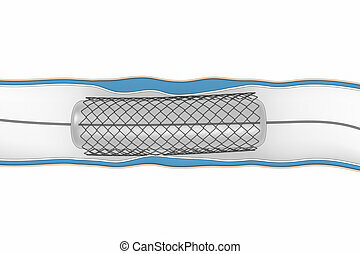 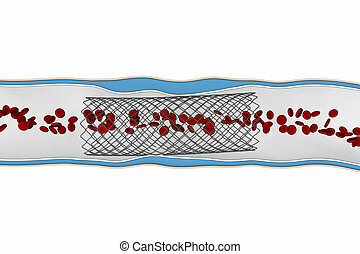 Fatty plaque developing on the inside of the artery, at the end the artery is narrowed and blood clot blocks the artery. 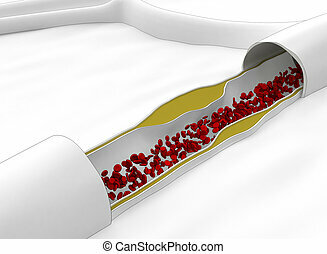 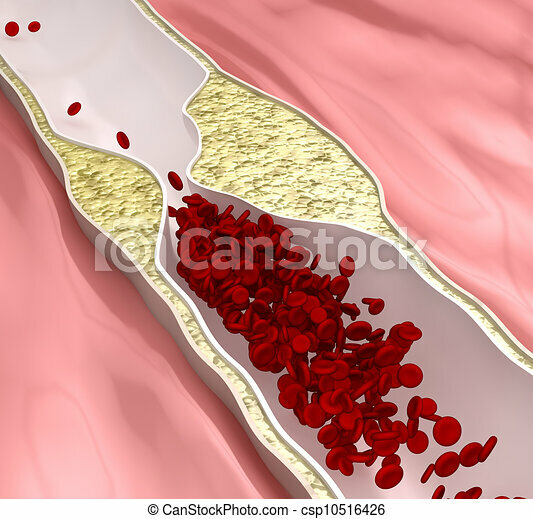 atherosclerosis coronary disease with plaque build up in the arteries medical cardiology concept with 3D illustration elements. 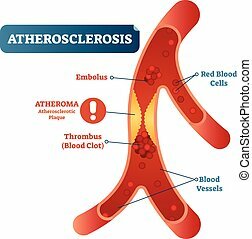 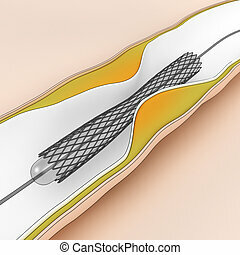 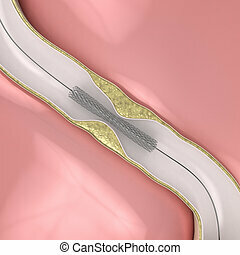 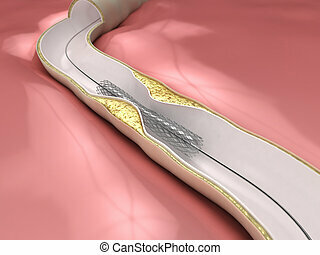 Leg artery disease, Atherosclerosis, narrowed artery by the fatty streak, plaque on the inner surface of the artery.